Today is the Wednesday after Christmas. We’re just finishing up the last of the leftover turkey, ham, and apple pie. Maybe just pulling ourselves off the couch for our first walk in a week (or weeks), thinking of all the great things we’ll accomplish next year. Perhaps dreaming of how fit, healthy, and happy we’ll be by June. Every January, roughly 45 percent of Americans (that’s about 135 million people) make New Year’s resolutions, yet only 8 percent of us report sticking to our resolution through the year. There’s a lot to improve upon in a world where 92 percent of people who set out on a journey of self-improvement on January 1 fail by mid-year. But successes and failures don’t just hinge on “will power” and “motivation” – they also depend on how we prepare ourselves (or don’t) to accomplish the goals we set. There are a few things we can all do to better position ourselves to meet our New Year’s goals. 1. Set S.M.A.R.T. Goals – S.M.AR.T. goals are goals that are specific, measurable, achievable, realistic, and time bound. As an example, a common New Year’s resolution is to “go to the gym more.” As a S.M.A.R.T. 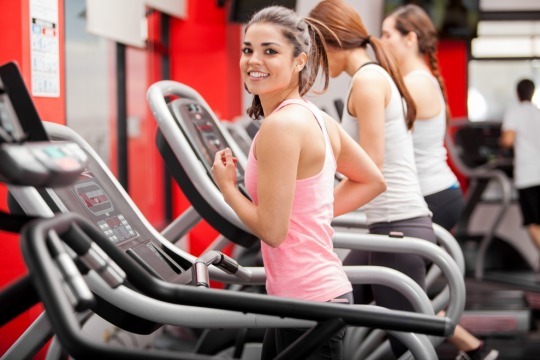 goal, that might look more like “go to my health club for 30 minutes at least twice a week for three months.” This goal is specific (you will do a certain activity for a certain period of time), measurable (by attendance), most likely achievable and realistic, and bound to a certain time period (January, February, and March). Setting S.M.A.R.T. goals sets you up to succeed by building confidence and momentum toward your goal. When you meet your first S.M.A.R.T. goal, set another one. Map out which days and times during the week it is feasible to exercise. Ask yourself“When can I reliably get away from family, school, and/or work obligations to spend 30 minutes getting my heart rate up?”Commit ahead of time. You can do this by signing up for group exercise classes at the beginning of the week to commit yourself to the process.Write your workout schedule down in your calendar so you can plan around your exercise (versus planning it around other things). 3. Have a Plan B –even the best planners hit road blocks. Last winter many northeastern cities got record numbers of snow, which caused issues with road safety and transportation and affected business operations. The New Year also hits in the middle of flu season and it can be hard to get to the gym when you’re caring for sick kids (or in bed with a fever yourself). So allow for a backup plan – for example, if there’s a big snowstorm, use the time you spent shoveling the car out to count as your 30 minutes of gym time. If you’re short on time or under the weather, split up your 30 minutes into smaller increments – maybe three 10 minute walks – throughout the day. Ultimately, it’s your goal, in this case spending half hour at your health club twice a week. But give yourself some flexibility when life gets in the way – it’s better than throwing in the towel altogether. 4. Get Support – it’s hard to make lifestyle changes without the support of the people around you. Recruit a friend, spouse, relative, or coworker to join and attend the health club with you. If you made a resolution about healthy eating, ask your family if they’re willing to forego the snacks and sweets with you. Having someone (or several people) supporting and even joining you will increase your chances of success. In the end, making big lifestyle changes is hard work, requiring a combination of internal motivation, environmental change, and breaking of old habits to form new ones.